It is a dream of every girl to walk down the aisle, with all eyes on her...radiantly beautiful than ever on her carefully selected wedding dress and be finally married to the greatest love of her life in her dream wedding. Just the mere thought of being a bride can send a million butterflies in the stomach ---because for some, this will give them the opportunity to experience how it feels like to be a princess and be swept away in a wonderful world where fairy tale is possible. Yep, makes a girl giddy and excitingly dreamy. Although reality-wise, it is a joyful stage yet nerve-wracking at the same time as inundated details have to be considered in the long-run especially when it comes to planning. Once the card has been laid, there will be an avalanche of questions that need to be addressed like who will be the bridesmaids? What will be the theme? How will be your makeup? Where is the reception? What will be the design of the cake? Who will attend the wedding? And the list goes on. And trust me, that dreamy state will turn into a frivolous affair as you've got to decide from picking the right flowers, to table napkins and 10,000 other ideas that you haven’t considered before. It will be overwhelming. Well, let me save you at least with the hairstyle that will suit you on your big day. Either you will have an intimate yet simple wedding or an elaborate wedding extravaganza, the following hairstyle ideas will bring out the best in you. It's also for bridesmaids and guests, but hey, this is your special day so let’s focus on YOU! They call it “quiff,” woman pompadour or faux hawk. It is a modern version of the ‘50s hairstyles for a punk look. High-rise is the best option if you want to rock a hair style that is little playful yet glamorous at the same time. This gives the air of nonchalant charm being free-spirited and not so “oh, polished.” I like the effect of this hair style since it targets the face directly as the immediate point of attention. Also, I like the effect of it being messy yet still put altogether. Who doesn't want to have her own remake of the Audrey Hepburn’s infamous “Breakfast at Tiffany’s" (except that little black dress which will be replaced with immaculate white) and that classic updo for her wedding? As a matter of fact, the classic ‘do is perfect on any hair color at any age. The perk of it is that you can easily style it with hair accessories which I will discuss next. 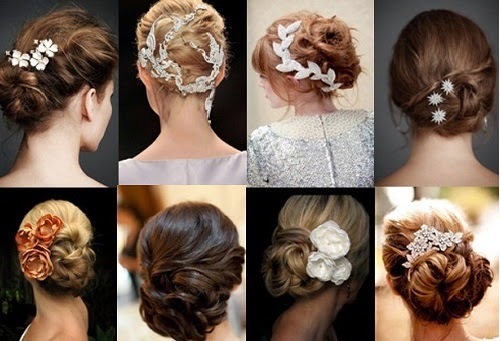 Romanticize your classic bun or chignon with these elegant hair accessories! There are a lot of designs to choose from. You can opt for floral designs (either real or faux) for the bohemian look, feathers, laces, veils and nets for the 1920's Great Gatsby theme, or intricately designed tiaras, jeweled clips and pearly combs for a more stunning and majestic look. 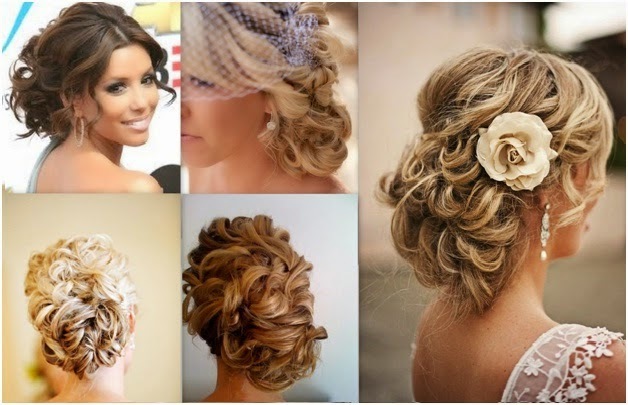 Nothing can beat those cute loose curls if you want to be free-spirited and super girly on your wedding day. It can accentuate your face to perfection. 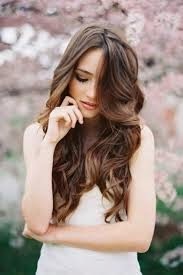 The good news about loose curls and waves is that, it can be done whether you have a short, medium or long hair. Undecided if you want to go curly but love to be in an up-do? Why do both and be in a perfect pinned-back twist? The classic French twist is simply gorgeous and spectacular. Let’s do modern braids and be your own nymph! Either fishtail, the usual French braid, Herringbone braid, Lace braids or Dutch Braids. Braids are youthful-looking and best for special occasions like weddings. Worried because you have a short hair on your wedding? Well, don’t because you can still do a lot of hair styling with your short hair. Give your usual bob a nice twist, or you can side-part it for a chic and sleek look. You can also make it a bit punk by adapting the faux hawk hairstyle or make it preppy with swirls at the end. Short hair style can also be prepped up with cute hair accessories like vintage-looking veils, jeweled clips, tiaras and lacy headbands. Go straight and look absolutely gorgeous! Let your hair hang loose. It is simple, elegant and very feminine. What I like about it is that it is fuss-free and very laid-back. You can emphasize your face instead with a wonderful makeup or rock it with an amazing neck piece. Ponytails never go out of season. It will always be in. It is a great option if you want a simple yet glamorous look, or a bride who is sleek and polished! You can accentuate it with an intricately designed dangling earring for a classic finish. If your wedding is themed, then you have a lot of options to choose from. Depending on your theme, you can choose from the above choices and then add some punk based on what you want to convey. For example, if you want the Great Gatsby theme, then you can go with the short bob with twists in the end and add hair accessories. 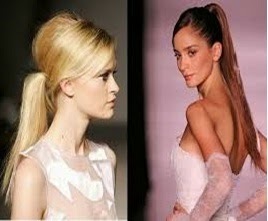 If you want an outdoor wedding with a bohemian edge, then go curly or have it in loose braids with floral accessories. Be playful! Always select the hairstyle that best describes your personality. It can be a bit awkward if you don a certain hairstyle yet you are not confidently wearing it. I always recommend that you have to have try-out days first before your actual wedding to anticipate the look that you plan to achieve and can easily experiment with another one in case you changed your mind. Make sure that you had a hair treatment like a spa or hot oil a day before your BIG day so your hair is healthy looking, tangle-free and easily managed. It is a MUST to select a trusted hairdresser to bring the hairstyle to life. I wish you lifetime happiness, overflowing love and a God-centered marriage! Congratulations! I think no bride can ask for anything more after going through this post. Thanks a lot for sharing. Thanks for sharing. All of them are so beautiful. My best friend is going to make wedding soon and she has found this website http://elstile.com/wedding-hair-makeup-artist with lots of cool ideas. Check it I think you'll find something too.